The purposes of the fundraiser was to help support college students financially with their academic goals, to foster positive mentor relationships and to encourage role models for children. 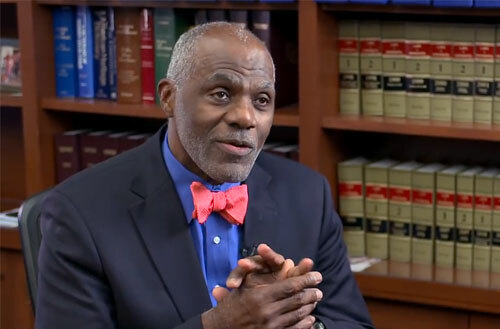 Alan Page is an associate justice of the Minnesota Supreme Court and a member of both the College Football Hall of Fame and the Pro Football Hall of Fame. Page graduated from Central Catholic High School in 1963 and received a B.A. in political science from the University of Notre Dame in 1967 and a J.D. from the University of Minnesota Law School in 1978. Page is married to Diane Sims Page and is the father of four children. Sports Speakers 360 is a booking agent for pro athletes. If you would like to book Alan Page for a speaking engagement, appearance or endorsement, contact an Alan Page booking agent for fees at 1.855.303.5450.